There’s something about piloting a giant robot and beating up other giant robots that gets the blood going. And in Override: Mech City Brawl, you get to do just that. 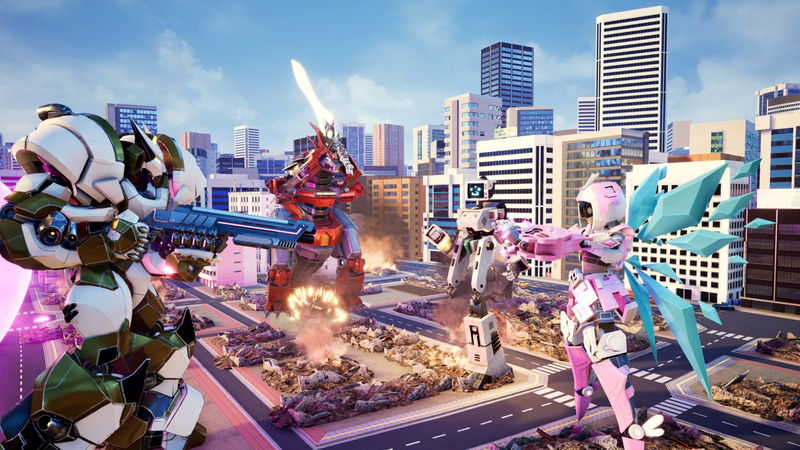 Publisher Modus Games and developer The Balance have announced that its 3D mech-based brawler, Override: Mech City Brawl, will be stomping around on PC, PlayStation 4, and Xbox One this December. Check out the announcement gameplay trailer above. Gematsu features an overview of Override: Mech City Brawl. “Pilot a diverse roster of epic mechs, each with their own play style, special moves, and finishers. Tower over your opponents and lay waste to entire cities underfoot in local and online versus, co-op, and more.” Override: Mech City Brawl, the publisher has announced, will receive two editions: A $29.99 USD digital-only standard edition and a $39.99 USD physical and digital Super Charged Mega edition. The Super Charged Mega Edition, according to the publisher, includes the Season Pass, which will add four extra playable mechs and 16 new skins post-launch, as well as instant access to 12 legendary skins. Though the game is scheduled for early December, Modus Games and The Balance have announced that Override: Mech City Brawl will get a closed beta that will be held from August 10 to 12. You can sign-up to participate in the game’s closed beta now on the official website. Override: Mech City Brawl will be available on December 4, 2018 for PC, PlayStation 4, and Xbox One.